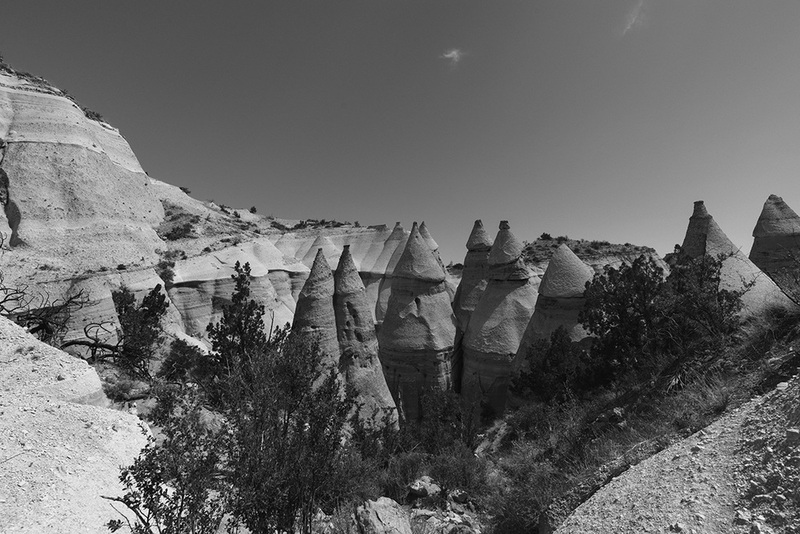 In June we took a road trip to Santa Fe, New Mexico. It was such a fun vacation for us, with just the right mix of adventure, hiking, relaxing, sight seeing, and toodling about the town. 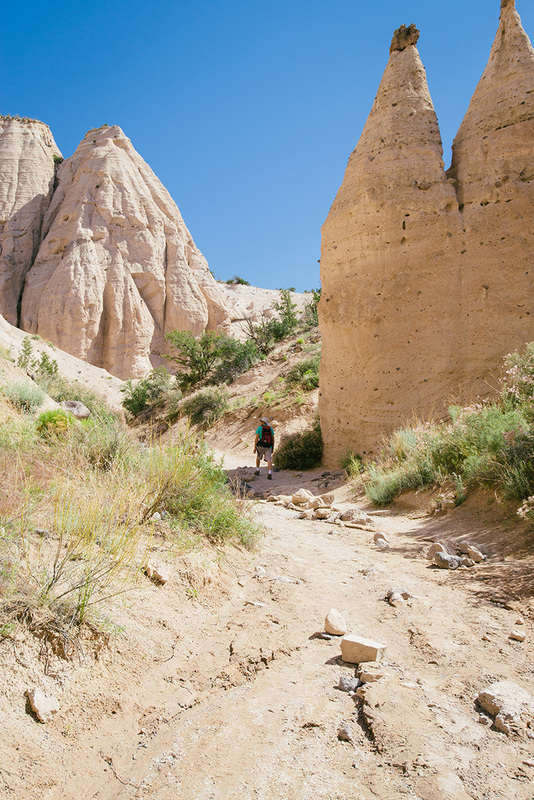 We really enjoyed this hike at Tent Rocks National Monument. 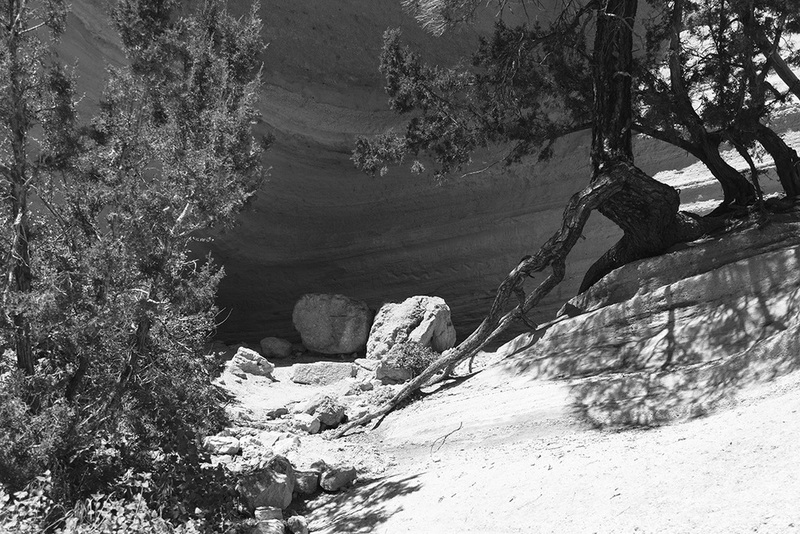 As you can see it was sunny and warm, so when walking through the narrow slot canyon the cooler temps in the shade were quite refreshing. In fact it was so cool that mounds of hail were still in tact from a storm a night or so before. We took our time on this hike looking up at the massive formations and even spotted petroglyphs in one weather protected area. Then view from the top was spectacular!